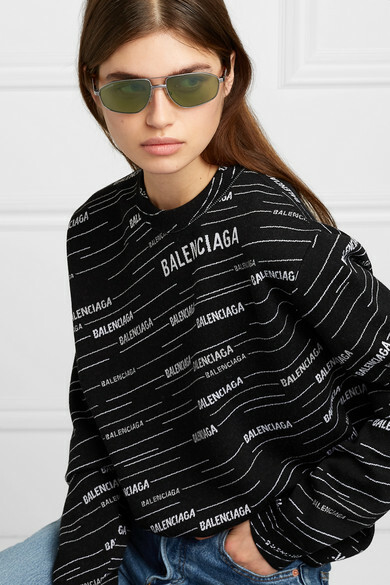 Balenciaga's long-awaited eyewear capsule has officially landed and it's filled with exactly what we've come to expect from the brand under Demna Gvasalia's creative direction. These silver-tone 'Vintage' sunglasses earn their name thanks to the retro-inspired slanted wire sides and tinted green lenses. 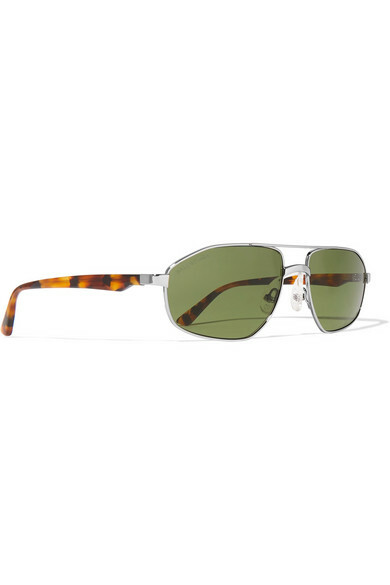 They're tipped with tortoiseshell acetate for comfort. Shown here with: Balenciaga Sweater.